On the eve of Pope Francis' visit to Philadelphia, and what may turn out to be one of the biggest congregations in the city's history, we thought we'd take a look back at the iconic events that have helped define our city. RELATED STORY: How will history judge Pope Francis' visit to Philly? Location: Carpenters' Hall in Philadelphia. Attendance: 56 delegates – appointed by legislatures in 12 of the 13 colonies. 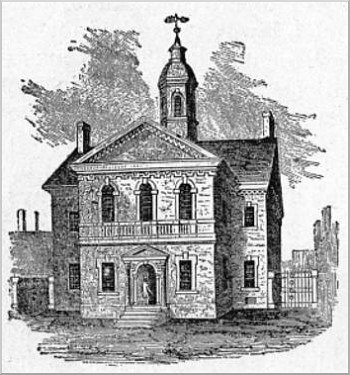 Lasting impact on Philadelphia: "It was at Carpenter's Hall that America came together politically for the first time on a national level and where the seeds of participatory democracy were sown," according to UShistory.org. Philadelphia was well on the way to being the "cradle of liberty," which would become its hallmark as a tourist destination that lasts till this day. Historical legacy: The colonies approved a boycott of Britain and stopped exports there when their demands to cease the "Intolerable Acts" were not heeded. It failed to change the Brits' colonial policy as the American Revolutionary War broke out. Importantly, the colonies also agreed to a Second Continental Congress the following May, which led ultimately to the signing of the Declaration of Independence on July 4, 1776. Memorable quote: Patrick Henry, a Virginia delegate, told the congress, "I am not a Virginian, I am an American." Lasting impact on Philadelphia: The Constitutional Convention of 1787 is one of the cornerstones of Philadelphia’s historical legacy, especially in the tourist hot spot of Old City. The National Constitution Center at 515 Arch St., established by President Ronald Reagan in 1988 and opened on July 4, 2003, seeks to illuminate constitutional ideals and inspire active citizenship. Historical legacy: When the convention was held the United States was fractured and bankrupt, but the Constitution that resulted from these meetings established a stronger central government with powers of taxation and the ability to regulate commerce. 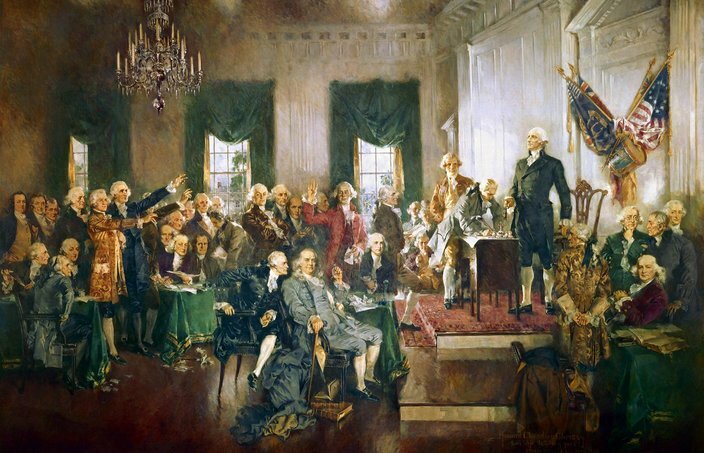 The Constitution Convention marked the beginnings of America as a truly united country. Memorable quote: “I consider the difference between a system founded on the legislatures only, and one founded on the people, to be the true difference between a league or treaty and a constitution.” – James Madison. Lasting impact on Philadelphia: Celebrating the 100th anniversary of the Declaration of Independence, the Exhibition — the first World Fair in the United States — proved extraordinarily popular, drawing nearly 9 million people at a time when the U.S. population stood at 46 million. More than 250 pavilions featured industrial exhibits from 37 countries. Among the exhibits: the right arm and torch to the Statue of Liberty. Historical legacy: The U.S. Treasury Department concluded in 1899 that Exposition turned the balance of trade in the U.S. The U.S. imported $34 million more than it exported in 1875, but just two years later exports outpaced imports by $139 million. Memorable quote: "I went there in July, & staid nearly a whole day; then I got discouraged & returned home. I became satisfied that it would take me two, or possibly three days to examine such an array of articles with anything like just care & deliberation." — Mark Twain, writing to writer William Dean Howells. Lasting impact on Philadelphia: The Exposition marked the 150th Anniversary of the Declaration of Independence, but mostly was considered a disappointment. Some 30 million people were predicted to attend, but a combination of negative publicity and precipitation — it rained 107 of the 184 days it was open — diminished attendance. Several buildings remained under construction until July and a 175-foot Tower of Light, designed to cast a light beam 70 miles, was never completed. It took the city until May 1929 to pay off the Exposition's $5.8 million cost. Historical legacy: The fairgrounds became FDR Park, Marconi Plaza, Packer Park and the sports complex. Municipal Stadium, renamed JFK Stadium, stood until 1992, hosting various events, including Live Aid and the Phillies 1980 World Series celebration. 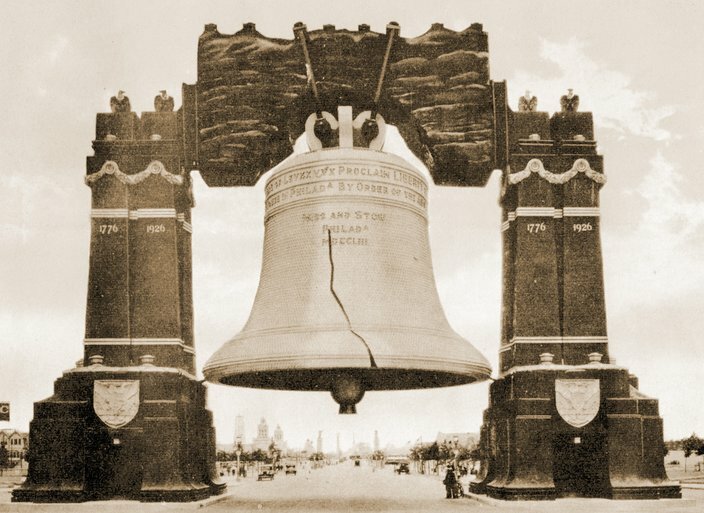 An 80-foot replica of the Liberty Bell, equipped with 26,000 light bulbs, straddled Broad Street, but was torn down after the fair ended. Memorable quote: "Whatever may have been the impression created by the news which went out from this city on that summer day in 1776, there can be no doubt as to the estimate which is now placed upon it. 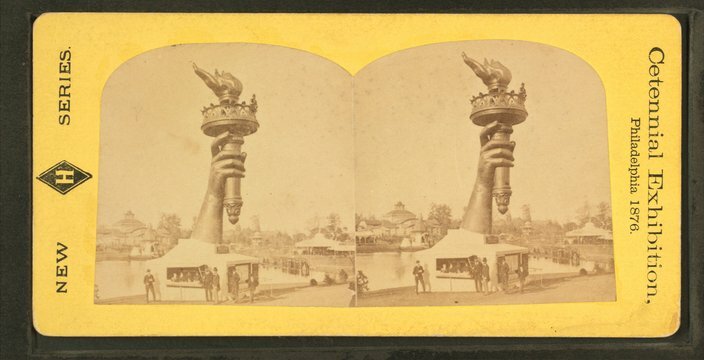 At the end of 150 years the four corners of the earth unite in coming to Philadelphia as to a holy shrine in grateful acknowledgment of a service so great, which a few inspired men here rendered to humanity, that it is still the preeminent support of free government throughout the world." – President Calvin Coolidge's address to the Exposition, July 5, 1926. Lasting impact on Philadelphia: The Flyers' Stanley Cup Championship in the 1973-74 season, and again in the 1974-75 season, sealed the club's popularity with fans for decades. It also turned many of the players, including goalie Bernie Parent, into Philly heroes for life. In fact, many remained in the Philadelphia area after their careers had ended. Historical legacy: Before adopting an aggressive, if violent, style of play, the expansion team Flyers lacked an NHL identity. The Broad Street Bullies, however, won back-to-back Stanley Cups, which combined with their win over the Soviet Red Army in 1976, put the Ed Snider's franchise up among the NHL's big boys. Memorable quote: "The rise of the Flyers has, it seems to me, coincided with an upbeat trend in Philadelphia – in not just the city itself but in the entire metropolitan area on both sides of the river. Philadelphians may well be reacting more affirmatively than ever before to extraordinary accomplishments because they are thinking more positively themselves." – George Wilson, Inquirer editorial, June 13, 1975. Date: 1976. Events were celebrated all-year, but culminated in a Fourth of July celebration in Old City. Lasting impact on Philadelphia: The structures that remained afterwards, like the Living History Center, have largely been repurposed or demolished. The most interesting remains are the murals that still dot the river wards. Historical legacy: The event was considered a flop, especially given that planning began in the mid-1960s, when Edmund Bacon drew up an ambitious plan for a World’s Fair in tandem with the event. Funds began to be raised as early as 1967 as Philadelphia hoped to edge out Boston, but controversies dogged the proceedings (the World Fair was scrapped by Mayor Frank Rizzo). Mayor Rizzo’s reactionary posturing – he requested 15,000 federal soldiers to combat a threat from phantom leftist groups – helped suppress turn out, too. The original estimate was that 100 million people would visit. Lasting impact on Philadelphia: In the first-ever visit to Philadelphia by a pope, John Paul II said: “It gives me great pleasure to meet you here in the Cathedral of Philadelphia, for it has a deep meaning for me. Above all, it means you: the living Church of Christ, here and now, alive in faith, united in the love of Jesus Christ. This Cathedral recalls the memory of Saint John Neumann, once Bishop of this See, and now and for ever a saint of the universal Church. In this edifice, his message and his example of holiness must continually be transmitted to every new generation of young people." Historical legacy: In his 1979 homily at the Mass in Logan Circle, John Paul II implored the gathered pilgrims to preserve the human and Christian values – liberty and justice, he stressed – that help define the history of Philadelphia and America. There is no doubt the pontiff's trip to Philadelphia – and the United States – so early in his pontificate helped endear him to millions in America and beyond. Location: JFK Stadium, now demolished, where Wells Fargo Center now stands. Lasting legacy on Philadelphia: “The vibe in Philly that day was just incredible,” WMMR DJ Pierre Robert told Philadelphia Magazine this summer. “But one day later, that energy had flown away.” The Live 8 concert in 2005, which attracted 1.5 million people, was also hosted in Philadelphia – and on the Parkway where Pope Francis will hold court. Historical legacy: The 39-act, 14-hour benefit concert, paired with a sister show in London, was the beginning of well-publicized and well-regarded music benefit concerts. Bob Dylan, Madonna, the Beach Boys, and Joan Baez all played as did a reunited Led Zeppelin, if very poorly. Meant to raise money to combat famine in Africa, the two concerts in combination raised $245 million dollars (well over $550 million in today’s dollars), most of it from telethon contributions. As many as 1.5 billion people are said to have watched globally. Memorable quote: “A rock music critic is often asked, ‘What is the best concert you have ever seen?’ My answer is easy and immediate: ‘Live Aid in Philadelphia in 1985,’” former Boston Globe music critic Steve Morse wrote earlier this summer. Lasting impact on Philadelphia: Landing the RNC marked a major victory for Mayor Ed Rendell, who sought to transform Philadelphia into a destination for tourism, conventions and signature events. The convention — and city — was roundly lauded for its logistics, amenities and hospitality. That praise paved the way for several large-scale events, but particularly the 2016 Democratic National Convention. Historical legacy: Philadelphia hosted its first political convention since 1948, when the Republicans, Democrats and Progressive parties all brought their conventions here. Republicans formally nominated George W. Bush as their presidential candidate. Four months later, the U.S. Supreme Court ended ballot recounts in Florida, making Bush the nation's 43rd President. Lasting impact on Philadelphia: A sea of red-clad fans flooded Philadelphia from Center City to Citizens Bank Park to celebrate the city's first professional sports championship in 25 years. Sitting atop a carriage pulled by the Budweiser Clydesdales, outfielder Pat Burrell led a three-hour parade down South Broad Street. The parade culminated with a celebration at the Stadium Complex, just as it had when the Phillies celebrated their first championship in 1980. There, Chase Utley capped the jubilation with three words that echoed the excitement of a generation of fans experiencing the thrill of victory for the first time. Historical legacy: The Phillies snapped the so-called Curse of Billy Penn, in which Philadelphia had failed to win a sports championship since constructing skyscrapers higher than the William Penn statue atop City Hall. SEPTA was so unprepared for the multitudes of fans flocking to Center City that, seven years later, it revamped its Regional Rail service to handle the masses expected at the upcoming papal visit. Great Central Fair of 1864: President Abraham Lincoln sold 48 signed copies of the Emancipation Proclamation during an appearance at the three-week-long fair, held at Logan Square as a fundraiser for the United States Sanitary Commission. Pennsylvania Emancipation Exhibition (1913): Congress declined to commemorate the 50th Anniversary of the Emancipation Proclamation, leading Pennsylvania to host its own three-week celebration, attended by 100,000 people, in South Philadelphia. 1948 Political Conventions: The Democratic, Republican and Progressive parties each held their conventions in Philadelphia. At the Democratic convention, all 23 Mississippi delegates famously exited Convention Hall when Minneapolis Mayor Hubert Humphrey urged the party to adopt a civil rights platform under President Harry Truman. 76ers Championship Parade (1983): Some 1.7 million people gathered on Broad Street to celebrate — unknowingly — the last championship Philadelphia would see for the next 25 years.